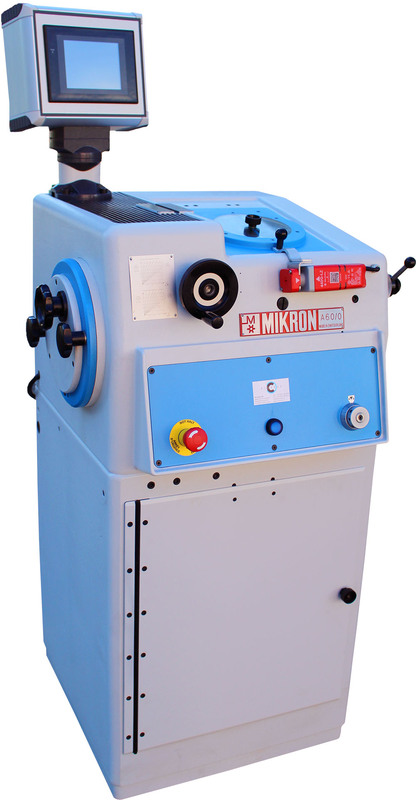 The overhauled Mikron A60 automatic hob sharpening machine of Reconda AG corresponds to the highest requirements to sharpen hobs used for production of high quality gears. Good accessibility, easy operation, ergonomically arranged elements and its stable housing grant an ideal machine for high availability and efficient operation. The machine A60/0 sharpens all hobs, thread milling cutters and special form cutters with straight gashes. It can also be used to sharpen work-pieces with regular groove divisions, as for instance: screen wheels, ratchet wheels, circular rip saws, index plates, etc. The machine is set-up for wet or dry sharpening.